(April 29, 2018, Saint Petersburg, Florida) Battaglia, Ross, Dicus & McQuaid, P.A. one of Tampa Bay’s oldest and prestigious law firms today announced Aubrey Dicus, Jr. has been named to the Senior Judge Review Panel for the Second District Court of Appeal, the purpose of this board is to periodically review senior judges serving on the appellate court and make recommendations as to their continued employment. 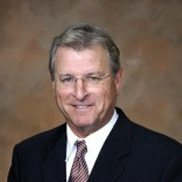 Aubrey O. Dicus, Jr. is President and CEO of the firm and has over 40 years of litigation and appellate experience. 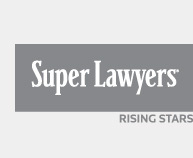 Mr. Dicus has been selected as a Woodward and White Publication’s “Best Lawyers in America,” named a Florida Super Lawyer, and maintains a Martindale-Hubbell AV pre-eminent highest rating. He has served as Past President of the St. Petersburg Bar Association and the Pinellas County Criminal Defense Lawyers Association. He is the recipient of the St. Petersburg Bar’s Professionalism Award and Stetson President’s Award. “The firm is extremely excited to have Aubrey represent the BRDM family. With decades of experience, his extensive knowledge dealing with the most complex cases, and his overall success in the legal field there is no question why he was picked for such a prestigious honor” Said Partner Sean McQuaid. Battaglia, Ross, Dicus & McQuaid, P.A. One of Tampa Bay’s leading law firms, established in 1958 by founding partner, Anthony S. Battaglia. 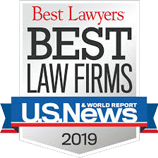 For over 50 years, the firm has provided personal, timely and cost-effective representation to individuals and businesses in St. Petersburg, in the state of Florida and throughout the U.S. Named “One of the best law firms in America” by U.S. News. 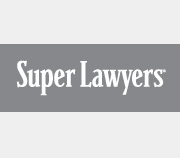 The firm is a Tier 1 law firm in their category of Metropolitan law firms. Focused on civil and commercial litigation their work also encompasses business and personal transactions, appellate law, employment law, alternative dispute resolution, wills, trusts and probate, real property and title insurance, as well as criminal defense matters. 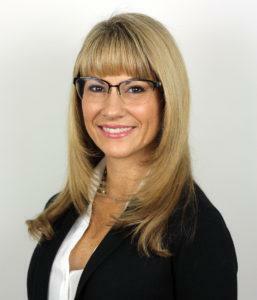 Battaglia, Dicus, Ross and McQuaid partner Rachel Drude will be speaking at two upcoming Seminars entitled “Elder Care and Medicaid Planning: Everything You Need To Know”. Rachel is looking forward to presenting at both sessions and being available to answer any questions seminar attendees may have. Hopefully you will be able to join her! When your property incurs damage, it’s a stressful situation. It’s common to take relief in the fact that you have purchased an insurance policy to cover your damages, should you ever need it. You may think that once you’ve submitted your claim, receiving your money to cover your losses would be a streamlined and dignified process. However, many insurance policyholders find that it’s not at all what they expected. Property damage claims can be complicated, and insurance companies often make it even more challenging for policyholders by delaying, underpaying, or even outright denying claims. Ensure you get what you’re entitled to and let the team at Battaglia, Ross, Dicus, & McQuaid, P.A. help. Jonathon W. Douglas leads the property claim team at Battaglia, Ross, Dicus & McQuaid, P.A and has seen firsthand how the insurance industry works from the inside out. Having represented some of the largest insurers in the State of Florida, he and his team are poised to help you in your time of need. Let us put our inside knowledge to work for you and don’t let your claim get lost in the storm. 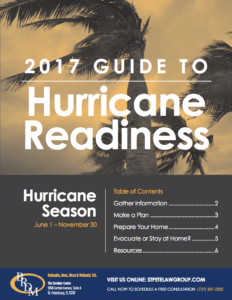 Be sure to download our FREE Hurricane Readiness Guide, it’s a great resource to make sure your home and family are ready for what mother nature could have in store for us this hurricane season. Regardless of what kind of damage your property has incurred, consult with our property claims team for a free consultation by calling (727) 381-2300. You’ll be glad you did!